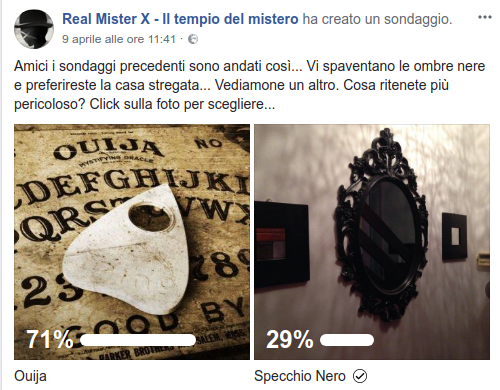 Amici quest’anno ho iniziato a proporvi dei sondaggi sulla pagina facebook, sondaggi a volte spiritosi, a volte più seri. 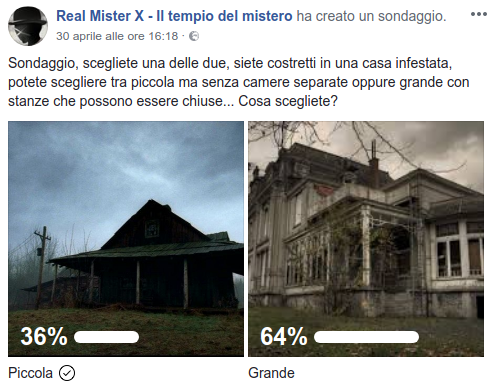 In principio lo scopo era solo intrattenere gli iscritti con qualcosa di simpatico, ma con il tempo ho capito che questo mezzo può rappresentare anche un interessante metodo di indagine per capire esattamente cosa vi spaventa o cosa amate di più. 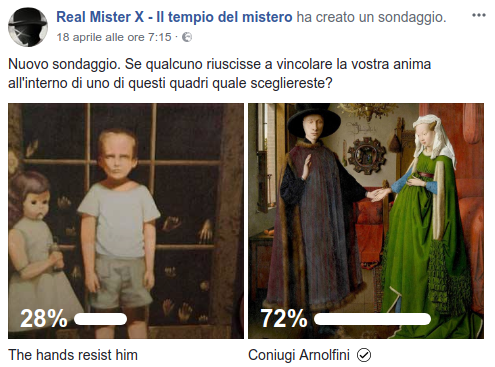 Friends this year I started to offer you some polls on the facebook page, sometimes witty, sometimes more serious, surveys. In the beginning the aim was just to entertain the members with something nice, but over time I realized that this medium can also be an interesting method of investigation to understand exactly what scares you or what you love most. What would you rather have at home? Damn doll or damn mirror? In a haunted house, what scares you most? Ghost Child or Shadow People? What would make you more uncomfortable? 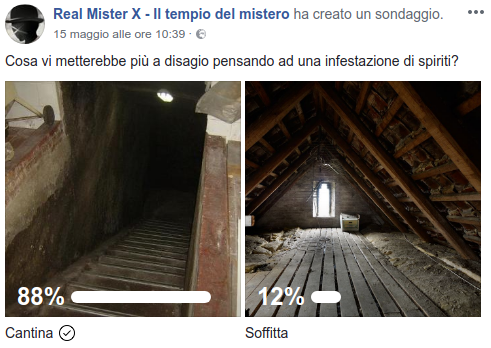 Cellar or Attic? What do you choose to spend a night alone? 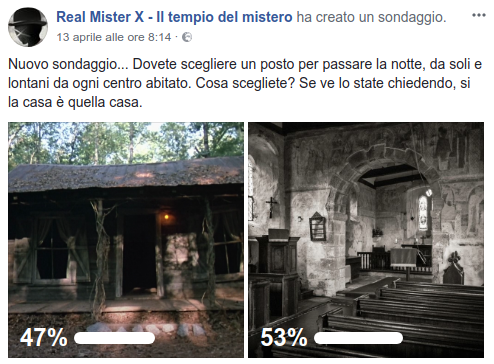 Church or house? Do you prefer a small single room or a large one with many rooms? 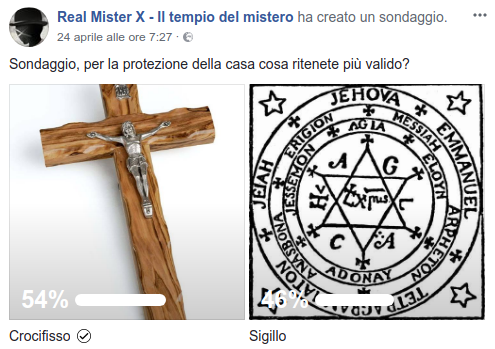 To protect the house, magic seal or crucifix? 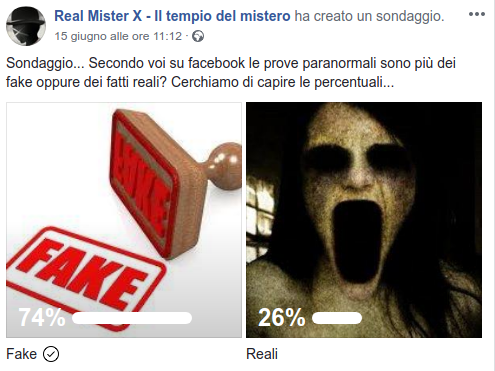 On facebook, more fakes or real facts? What are the spirits? Dead or else? What scares you most, the Ouija or the black mirror? Which of these paintings would you fix your soul? 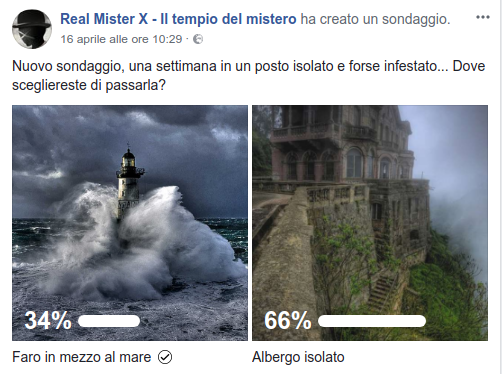 Two isolated and infested places … Which one would you choose? 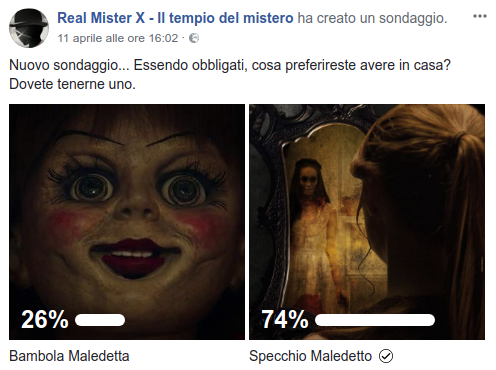 Sciamano: Chi è veramente e cosa fa questo personaggio? 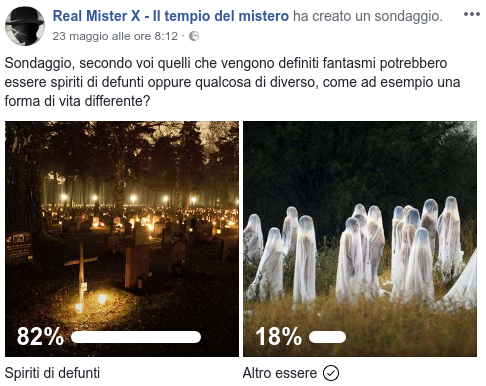 Esperimento paranormale: Cosa capita alla nostra immagine specchiata quando non guardiamo? 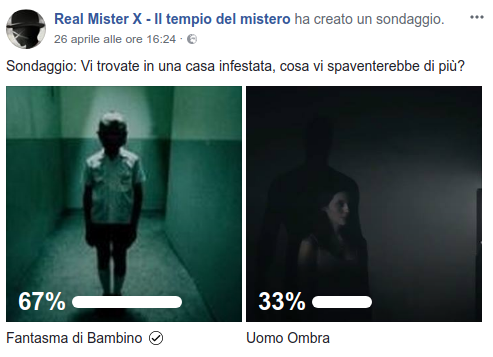 Cosa sono le ombre nere che molti vedono dentro casa?